The big news today at sea is that China has sent an auxiliary general intelligence (AGI) ship to spy on the RIMPAC 2018 international exercise off Hawaii, from which its navy was formally disinvited. 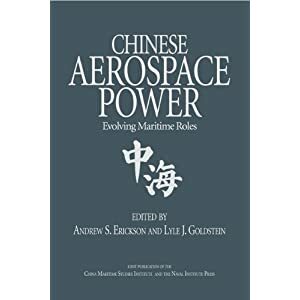 Below, I’m posting what has been publicly reported on this event thus far, together with detailed analysis of China’s well-documented history of dispatching intelligence-collecting ships to monitor previous RIMPAC exercises. 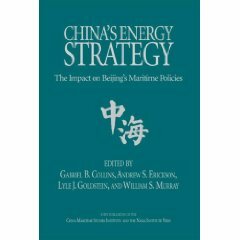 As the article below observes, this is not just a case of China’s navy taking a nice trip to Hawaii or crashing a party for (geo)political purposes, it’s a case of China’s navy enjoying an intelligence collection feast that is rarely equaled given the sheer scope and diversity of the foreign naval participants on the menu and all their electronic/electromagnetic emissions. To be sure, it is perfectly legal for China to send an AGI vessel to operate in international waters in this manner. In respecting the freedom that international law affords, the U.S. rightly tolerates this behavior from China and Russia, which both engage repeatedly in such activities. But here’s the bottom line: the U.S. shouldn’t let China have it both ways. No matter what Beijing says or does, U.S. forces must continue to operate wherever international law permits, including in, under, and over the South China Sea—a vital part of the global maritime commons that is 1.5 times the size of the Mediterranean and contains substantial areas that no nation can legally claim for itself or restrict access to in any way. And if PRC officials complain about that, or claim that the U.S. is harming bilateral military relations or “trust,” then U.S. officials should directly raise this blatant example of China using the freedom that international law affords to collect information as it pleases—regardless of the political atmosphere or however displeased other parties may feel. Serious, mature powers that are truly great don’t complain endlessly about their personal “feelings,” they focus professionally on the often-difficult business of international relations. I will continue to update this post as information emerges. Please send any further information you are able to share to me at <http://www.andrewerickson.com/contact/>. Thanks! William Cole, “China Sends Spy Ship to RIMPAC,” Honolulu Star Advertiser, 12 July 2018. China was disinvited from the prestigious Rim of the Pacific exercise, but it has made an appearance anyway — dispatching a spy ship to international waters off Hawaii, the Navy said today. Chilean Commodore Pablo Niemann, the combined forces maritime component commander for this year’s RIMPAC, said he was disappointed. “My team and I have been working on the construct and planning of RIMPAC 2018 for more than a year, a plan which has been built considering all of the 25 participating nations and their national training objectives,” Niemann said in a statement. The Navy confirmed that a People’s Liberation Army Navy auxiliary general intelligence ship was detected off Hawaii coinciding with the early phase of the at-sea portion of the world’s largest international maritime exercise. In 2014, the first time China was invited to participate in RIMPAC, it also sent a spy ship. The Navy had previously confirmed that China sent a surveillance ship near Hawaii in 2012 as well. In 2016 during RIMPAC, a Russian Balzam-class auxiliary general intelligence ship arrived in international waters off Hawaii. The exercise is held every two years. “Obviously, we are aware that it is there, and we’ve taken all precautions necessary to protect our critical information,” U.S. Pacific Fleet said at the time. “Its presence has not affected the conduct of the exercise.” Russia last participated in RIMPAC in 2012. China was invited and had indicated it would participate in the current RIMPAC, but that invitation was rescinded in May over its ongoing militarization of manmade islands in the South China Sea. China also was labeled a strategic competitor of the United States. Retired Navy Capt. Carl Schuster, a former director of operations at U.S. Pacific Command’s Joint Intelligence Center and an adjunct professor at Hawaii Pacific University, said China’s uninvited presence is more than a poke in the eye to the United States. “But an AGI is looking at how we do tactics, how we do procedures, they are also monitoring all the radar signals, because there are very few opportunities these days to see every country’s radar and systems in play,” Schuster said. Twenty-five nations, 46 surface ships, five submarines, 18 national land forces, more than 200 aircraft and 25,000 personnel are gathered mainly in Hawaii but also in Southern California for RIMPAC. The United States can counter China’s information-gathering to some extent, Schuster added. Summary translation: China demands freedom from the United States to collect intelligence in U.S. Exclusive Economic Zones in the name of U.S. principles and domestic laws. China denies the United States reciprocal freedoms in the name of China’s own domestic laws. Such lack of reciprocity flies in the face of international legal principles and support for an equitable, well-functioning international system. However, Beijing’s emerging tool of choice to promote its interests in this and some other important areas is not international law, but rather high-level political rhetoric and relationship management. 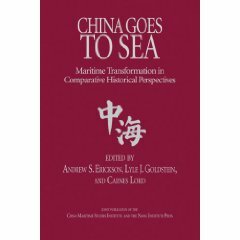 Expect Chinese interlocutors to push the following argument: under the “New-Type Great Power Relations” concept that Presidents Xi and Obama endorsed at their Sunnylands Summit, and the “New-Type Navy-to-Navy Relations” concept that logically flows from this, the U.S. side should reduce surveillance and reconnaissance operations (SROs) in China’s EEZ to ensure the “mutual trust” necessary for the future positive development of the relationship. 责任编辑: 李芬芬 [Dong Zhaohui, ed. ], “国防部: 对社会各界给予军演的理解支持表示感谢” [The Ministry of National Defense: We Thank All Social Sectors for Their Understanding of and Support for Military Exercises], “2014年7月国防部例行记者会” [Defense Ministry’s Regular Press Conference, (31) July 2014], Official Transcript from Website of Ministry of National Defense, The People’s Republic of China, 31 July 2014. Posting sequence: (1) quotations from English translation provided on PRC MND website; (2) followed by original Chinese version from Chinese-language MND website; (3) concluding with slightly differing, possibly smoother translation of original Chinese in brackets. Shannon Tiezzi, “China’s RIMPAC Spying: Having Your Cake and Eating It Too,” The Diplomat, 1 August 2014. Very important piece by Shannon Tiezzi. It explains clearly how China is trying to have it both ways with regard to conducting maritime intelligence collection activities in another nation’s EEZ. That’s why Emily de La Bruyere and I quote leading international legal scholar Jerome Cohen in our recent article in The National Interest on the subject: “I demand freedom from you in the name of your principles. I deny it to you in the name of mine.” This summarizes Beijing’s argument perfectly–a divisive approach that contravenes the fundamental principle on which international law is based: reciprocity. 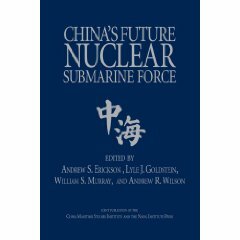 There’s an excellent Chinese equivalent for that term as well–有来有往… The “New-Type Navy-to-Navy Relations” concept that Beijing is now promoting won’t work if China keeps trying to hold the United States to a different, more restrictive standard than it demands for itself. The unprecedented decision to send a surveillance vessel while also participating in the RIMPAC exercises calls China’s proclaimed stance on international navigation rights into question. Forty-nine ships from 22 countries, including China, are currently participating in the Rim of the Pacific (RIMPAC) maritime training exercises off the coast of Hawaii. Submarines and aircraft have joined them. But last Friday, an electronic display map of the operating zone showed a fiftieth ship in the middle of the exercise: an uninvited Chinese surveillance ship. The U.S. Navy (USN) has since confirmed that the vessel is a Dongdiao-class Auxiliary General Intelligence (AGI) – one of the Chinese Navy’s three most advanced spy ships, designed to gather electronic and communication information from nearby ships and aircraft, as well as the land-based military facilities that blanket Hawaii. For the first time since the RIMPAC exercise began in 1971, China is an official participant. After receiving an oft-repeated top-level invitation to join, Beijing sent 1,100 official personnel, supply ship Qiandaohu, missile frigate Yueyang, missile destroyer Haikou, and hospital ship Peace Ark to Hawaii. That gives China a larger presence than any participant save the host. The Dongidao AGI was not invited, and is not associated with RIMPAC – though the USN has been monitoring the ship’s movement since its arrival. But last Friday night the spy ship’s large radomes were positioned directly south of Oahu, near the USN’s Ronald Reagan Strike Group and the main body of ships joining the drill. A party crasher from China’s navy is enjoying an intelligence buffet at the world’s largest maritime gathering – and the feasting will make it hard for Beijing to condemn similar foreign activities in international waters close to China. Sam LaGrone, “China Sends Uninvited Spy Ship to RIMPAC,” USNI News, 18 July 2014. China slipped an uninvited guest into the world’s largest naval exercise. The U.S. invited four ships from China’s People’s Liberation Army Navy (PLAN) to the Rim of the Pacific 2014 exercise — a move that was hailed as a sign of improved military-to-military relations between the two countries. A message left with PLAN representatives at RIMPAC was not immediately returned. As of Friday, the ship was operating south of the Hawaiian island of Oahu, near the USS Ronald Reagan (CVN-76) carrier strike group (CSG) and the main body of the 50 ships participating in the exercise, several sources confirmed to USNI News. China watcher Andrew Erickson said the ship is likely to be one the PLAN’s most experienced, in a late Friday interview with USNI News. Monitoring electronic signals and communications from rivals exercises is nothing new. The U.S. and then-Soviet navies were famous for stalking one anothers exercises to gain intelligence information. China often accuses the U.S. of doing the same in areas like the South China Sea. Adversaries and allies both can learn much from monitoring and analyzing electronic signals from a plane or a warship — say the frequencies in which an air defense radar operates. Likewise the communications between ships and aircraft can tell an adversary procedures of how a navy operates. What’s strange about the Chinese ship monitoring RIMPAC from afar is four PLAN ships and their crews have already been included in most levels of the operation. “For an operation that risks making the PLAN look like an untactful guest, as well as undermining its insistence that it has the right to oppose similar activities in its own EEZ, China would want to deploy the vessel least likely to make visible mistake(s) that would generate further embarrassment in that fishbowl environment,” Erickson said. The revelation of the spy ship near the exercise has caused at least one member of Congress to say the U.S. shouldn’t invite China back for RIMPAC 2016. “Given China’s recent disregard for principles like freedom of navigation and the peaceful resolution of territorial disputes, it was already a stretch to reward Beijing with an invite to such a prestigious event like RIMPAC,” Rep Randy Forbes (R-Va.) chairman of the House Armed Services Subcommittee on Seapower and Projection Forces told USNI News in a late Friday statement. RIMPAC — held every two years — includes 50 ships, 200 aircraft and more than 25,000 military personnel from 23 nations. The exercises will run until August. “Chinese Fleet Participating in RIMPAC Drill Leaves for Exercise Area,” Xinhua, 11 July 2014. Andrew S. Erickson and Austin M. Strange, “China’s RIMPAC Debut: What’s in It for America?” The National Interest, 3 July 2014. Invitations aren’t everything: China’s navy (legally) monitored RIMPAC 2012 in the U.S. EEZ despite lacking invitation to do so, or to participate in the exercise itself. As tensions simmer in the East and South China Seas, clouds of doubt overhang China’s presence at Rim of the Pacific (RIMPAC) 2014. The world’s largest international maritime exercise, it is hosted biannually by the U.S. Navy. But despite concerns that Beijing’s participation constitutes a net loss for Washington, the U.S. can in fact derive substantial value from including China while building global maritime security partnerships. This “big tent” approach demonstrates willingness to weather regional turbulence to advance a longer-term push for Beijing to recalibrate its contributions to global maritime security to levels commensurate with its growing power. Yao Jianing, ed., “Chinese Navy’s First Participation in RIMPAC Exercise Draws International Attention,” China Military Online, 19 June 2014. BEIJING, June 19 (ChinaMil) — The vessels of the Chinese People’s Liberation Army Navy to participate in the Rim of the Pacific (RIMPAC) 2014 multinational military exercise joined the U.S. and Singaporean naval vessels in the northern waters of Guam at noon on June 14, 2014, local time. This is the first time that China participated in the world’s largest-scale multi-national naval exercise. The international community has paid close attention to this move and commented positively on it, believing it displays Chinese military’s confidence and openness, delivers the wish to strengthen mutual trust, and will play a positive role in multilateral relations and regional security cooperation. Media praised that the Chinese navy’s participation in the RIMPAC exercise is an evidence of confidence and openness. British Broadcasting Corporation (BBC) and other media covered in the first time that the PLAN assigned four naval vessels to participate in the RIMPA exercise. Lianhe Zaobao of Singapore said that the fact that the PLAN assigned advanced battleships to the “tiger’s den” indicates its confidence. Deutsche Presse-Agentur (DPA) noted that even though China and the U.S. have had constant disagreements on international issues, China still accepted the other side’s invitation to participate in this naval exercise, which fully demonstrates Chinese military’s calmness and openness. Both the ВЗГЛЯД.РУ of Russia and Taiwan’s United Daily News commented that this shows China’s wish to participate in more international activities and to create its image as a responsible large power through the naval exercise. Media commented on the participation in the RIMPAC exercise by the PLA as a signal of strengthening mutual trust. International Business Times of the U.S. said that China’s decision to participate in the RIMPAC exercise despite the constant disputes between the two militaries lately will be a surprise to the international community. According to an article published by Lianhe Zaobao, participating in the joint naval exercise not only provides a rare opportunity for the PLAN to observe, learn and exercise, but also helps the two militaries show their transparency and good will to each other, and strengthen military mutual trust between the two countries. BBC quoted an expert as saying that China’s participation is aimed at higher-level China-U.S. military cooperation, with the main purpose of establishing bilateral military mutual trust, avoiding misjudgment and controlling crisis. Media held that Chinese navy’s participation in the RIMPAC exercise will exert a positive influence on regional situation. Associated Press (AP) of the U.S. quoted Rory Medcalf, a researcher with Australia’s Lowy Institute for International Policy, as saying that China’s participation in the RIMPAC exercise can urge all parties to coordinate on security issues of common concern such as disaster relief and crackdown on piracy and reduce the friction between the PLAN and other countries’ navies. Reuters commented that as the naval exercise is carried out amid the escalating situation in the East China Sea and the South China Sea and the mounting dispute over cyber security between China and the U.S., it offers a rare communication opportunity to help relieve the regional tension. Lianhe Zaobao quoted Xu Hongmeng, deputy commander of the PLAN, as saying that participating in the RIMPAC exercise is an important attempt to forge the new-type big power relations and military relations between China and the U.S., which will play a positive role in the friendly cooperation between China and the U.S. as well as countries in the South Pacific region. “Chinese Fleet Joins Others for RIMPAC Exercise,” China Radio International, 14 June 2014. A Chinese fleet joined naval forces from Singapore and the United States in waters off Guam Saturday en route for the Rim of the Pacific (RIMPAC) multinational naval exercise. The Chinese forces include missile destroyer Haikou, missile frigate Yueyang, supply ship Qiandaohu, hospital ship Peace Ark, two helicopters, a commando unit and a diving squad, totalling 1,100 officers and soldiers. The fleet departed Monday from military harbors in the southern city of Sanya and eastern city of Zhoushan for the Chinese navy’s first involvement in RIMPAC. At the sendoff at Sanya, Xu Hongmeng, a deputy commander of the navy, said the mission was an important part of efforts to build a new model of relations between China and the United States and their militaries. The mission was significant in diplomatic terms as it would help relations between China and nations in the south Pacific, Xu said. Joining the Chinese fleet in the waters north of Guam are guided missile cruiser USS Chosin and guided missile destroyer USS Howard from the United States, and multi-role frigate RSS Intrepid from Singapore. Representatives from each ship will hold a coordination meeting on the USS Chosin and then continue towards Hawaii as a joint fleet. During the voyage, drills in artillery firing, emergency response and underway replenishment will be carried out. RIMPAC, which started in 1971, is the world’s largest multinational maritime military exercise. A total of 23 nations will participate in the 2014 exercise.